Starpath Dolls- Your Young One's New BFF! Thank you to Starpath Dolls for providing me with product in exchange for my honest review. All thoughts and opinions share below are my own. 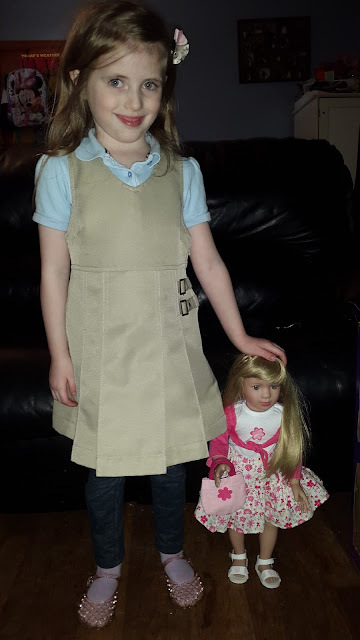 Both of my daughters enjoy playing with dolls. 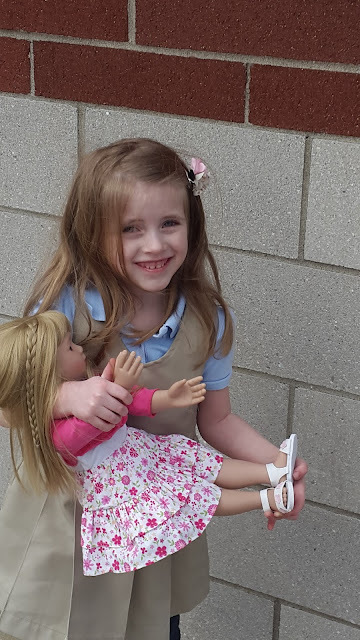 Since D is getting a little older, she plays with her dolls less frequently than R, but there are days the two of them spend hours playing tea party and/or house with their dolls. 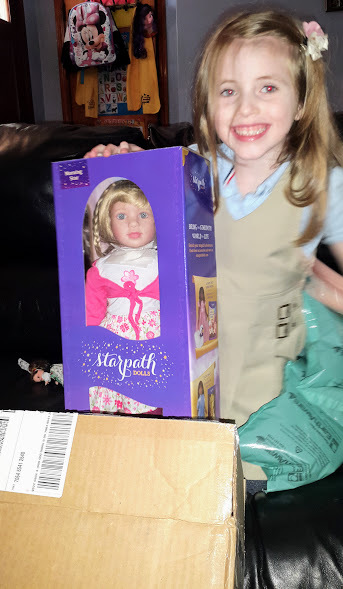 Between the two girls, we have tons of dolls, but that didn't stop us from welcoming a new doll from Starpath Dolls to our brood. When we were given the opportunity to review a doll from Starpath Dolls, I was so excited. I loved that Anita Winsor, inspired by her daughter's love of reading and dolls, created a company (featuring 4 stunning and multi-ethnic dolls) that helps foster a love of reading and encourages young girls to see themselves in worlds outside of their own. As you know, we are sort of book obsessed over here, so anything that encourages more reading makes this Mama smile. "Morning Star lights up the room with her bright blue eyes and cheerful disposition. Her long honey blond hair is brushable and can be styled. 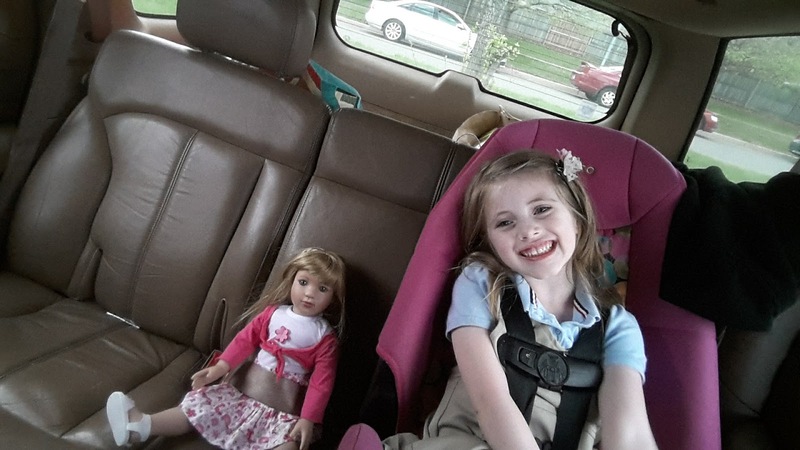 She has a huggable cloth body and her head and limbs are moveable and made of smooth vinyl." Minus the "cloth body" and "smooth vinyl" limbs, this easily could have been a description of R! When Morning Star arrived and R saw her, I knew that I made the right decision. 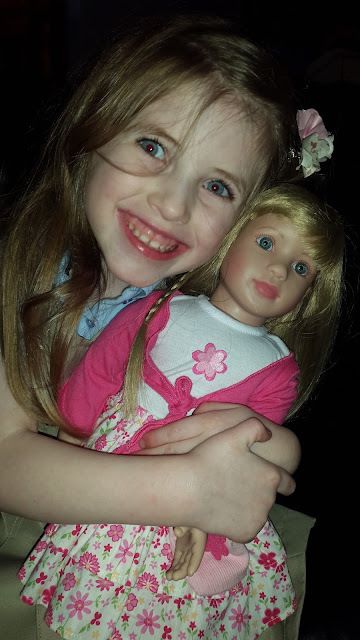 She was absolutely delighted with her new friend, who we now call Maya, and wanted to bring her along everywhere. Maya even came with us to pick up D from school! She also kept R company while we were waiting to go inside to get D.
In addition to the sweet doll, we were also able to personalize a story called "A Fairy Tale Gone Wrong". R loved that the story featured her and her new BFF and I loved that it came in e-book format so that we could read it right after we personalized it. We have a Kindle Fire, so we did have to add an app to view the book's file on our tablet, but we found a free app that was easy to use and the book looks great! We could also choose to order the book in paperback form, which we may do at another time. 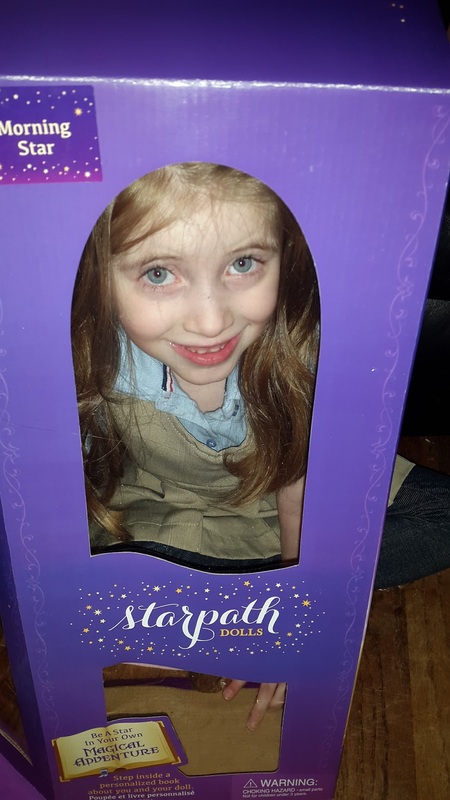 There are currently 4 Starpath Dolls to choose from. 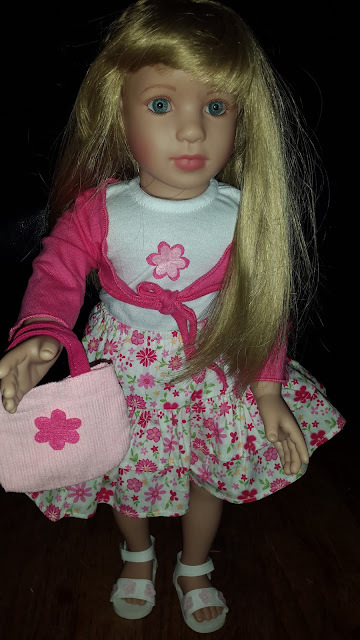 Each doll is 18.5 inches tall with a huggable cloth body and brushable hair! You can choose to add a book and even some cute outfits. If you are looking for a great gift, but cannot choose between the dolls, you also have the option to purchase a gift certificate! Morning Star (aka Maya) was such a hit at our house, D is already requesting a Shining Star Doll for her birthday...in NOVEMBER! Be sure to follow Starpath Dolls on social media. You can find the company on Facebook, Pinterest, and Instagram! Isn't it so sweet? You can actually order other outfits too. R has her eye on a purple one for "Maya".